The most characteristic and valuable products of Structural Diet are Elixirs of Youth, which are natural fresh weight loss smoothies composed of appropriately selected structural products. They have a high content or are the source of many natural vitamins, minerals, fiber and antioxidants. Thanks to excellent nutritional properties, they have a very positive effect on losing weight, improving health and well-being and reduce the risk of chronic diseases. 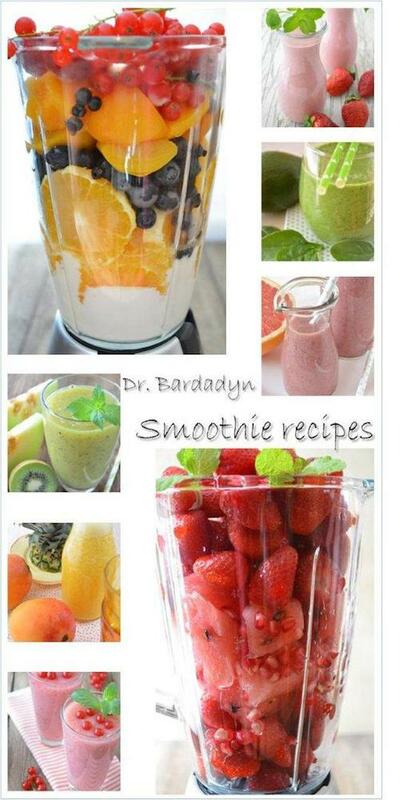 Start the diet with Dr Bardadyn smoothies right now at home! The author of recipes of Elixirs of Youth is Dr. Marek Bardadyn. He created weight loss smoothies stimulating metabolism, cleansing, improving metabolism, enhancing immunity, anti-wrinkle, strengthening blood vessels and sight, stimulating processes of rejuvenation of tissues and other health activities. If the primary purpose of drinking Elixirs of Youth is losing weight, selected weight loss smoothies substitute one or two meals a day. Below you will find a selection of recipes for Elixirs of Youth. More healthy weight loss smoothie recipes can be found in Dr. Bardadyn Diet Plans.